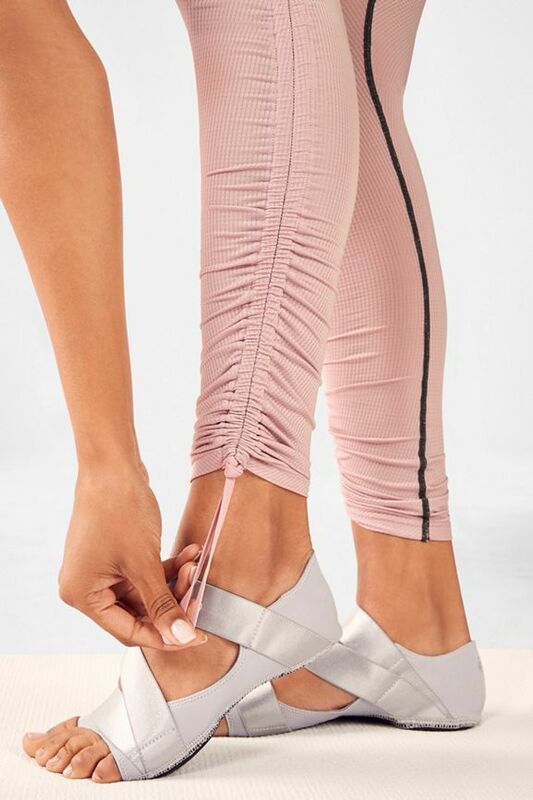 I spend a lot on expensive workout leggings that are great for absorbing sweat, but no where near as stylish and comfortable as these. Love!! beautiful material, made me look sleek smooth, i prob just needed a little more firmness in the waist area. I like the feel of the fabric. Very soft and lightweight, but supportive. I wear it to barre class. These maybe just aren't my style. The top seemed larger than other mediums, and I like the tummy hold. The bottom part of the fabric was loose and felt kind of cheap. I like the light weight to the bottom half, covers the skin but breathable! Very breathable and tall size is a great option! These were the first Fabletics I put on, felt so good in the them I didn't even need to work out. But then I did and felt even better!! These are so light weight and fit perfect! They are quickly becoming my favorite. The string at the bottom is a little weird, I just tuck it under to keep it out of the way.